Our founder—Stephen Lee—has a rich history with tea. It wasn’t until after he co-founded Stash Tea and Tazo Tea that he discovered kombucha. On a trip to Russia, he learned about the sparkling fermented tea and grew so fascinated by it, he returned home and founded Wonder Drink in 1999. He didn’t stop there—Stephen wrote the definitive book on kombucha! Want to learn how to brew the perfect batch of kombucha, care for your own SCOBY, and make delicious kombucha recipes? Check out Kombucha Revolution: 75 Recipes for Homemade Brews, Fixers, Elixirs, and Mixers. Kombucha is everyone’s new favorite drink. It’s a fermented beverage made from brewed tea, sugar, and bacteria from a starter culture called SCOBY—Symbiotic Colony of Bacteria and Yeast. Kombucha's taste can range from tart to sour to tangy, like a crisp apple cider vinegar or a bubbly switchel. And it’s as versatile in use as it is in flavor—you can mix herbs, fruit, spices, and tea infusions for unique and exciting kombucha concoctions! Acetic Acid: Fermentation produces acetic acid which supports gut health. Tea Polyphenols: Found in tea, these are antioxidants that benefit overall health. Healthier Alternative: Skipping soda doesn’t mean you have to sacrifice on taste. Kombucha’s a delicious and healthy alternative. Our beverages are guaranteed non-alcoholic*, making them safe for kids. 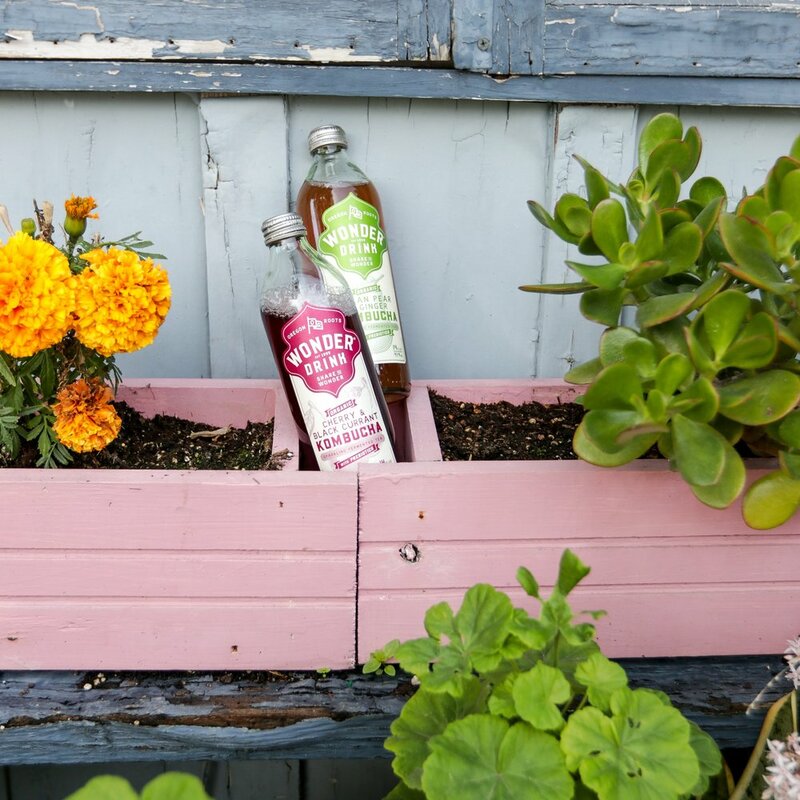 Guaranteed Non-Alcoholic*: We use a proprietary two-step fermentation process to make our kombucha. After the desired organic acids are produced, we stop the fermentation process by inactivating the starter cultures. This allows us to keep the kombucha non-alcoholic* and also control the amount of residual sugar.